Wedding bells are ringing. Or are they?! A Muslim and Jewess want to marry. A Christian and a Jew are very much in love. A Pagan and Russian Orthodox want to tie the knot. A mixed-faith marriage is a bit special, is it not? 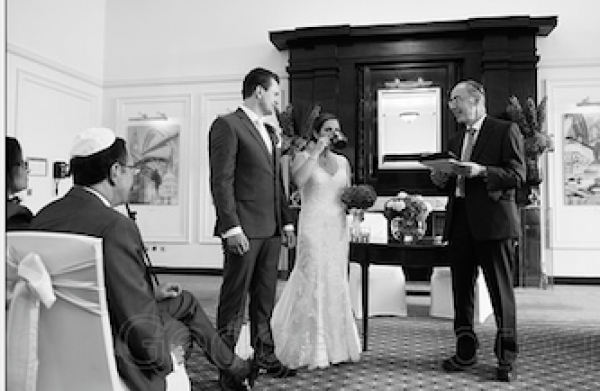 Having conducted a number of fabulous mixed-faith marriages in the last years. I’d answer with a resounding“yes”. Well, not everyone might be as enthusiastic as me! What if the couple want a religious (or even, part-religious) wedding? How will they manage, if their church/synagogue/mosque/temple/you name it refuses to recognise their union? The obvious answer is a civil ceremony. There are two kinds, so you have a choice. The register office service contains the necessary wording to make the marriage legal, so it is indispensable. Unfortunately, the ceremony itself is (reasonably enough) standard and somewhat impersonal. More to the point, it has to be totally secular. There may be no reference whatsoever to religion or even use of religious vocabulary. So this solution, though worthy in its way, may not meet the needs of most mixed-faith couples. Another choice is to use a civil celebrant. As a celebrant-led ceremony does not encompass the legalities, it would have to be in addition to the registrars’ service. As for venue, you would have two options. If your venue is licensed for marriages, the registrars will come there, perform their service and leave. 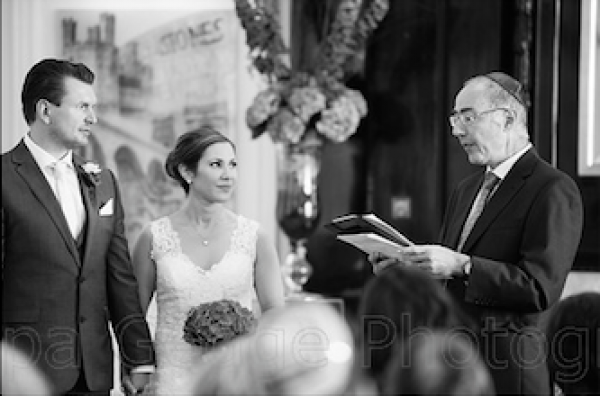 At which point the civil celebrant can begin your personalised ceremony. Alternatively, you can marry at the register office (by appointment), with two witnesses, and proceed (that day or a following one that you select) to the venue of your choosing, be it indoors or outdoors. Then you can celebrate your bespoke service absolutely as you would wish. The beauty of a civil ceremony is that you can incorporate your ideas and desires into the ceremony. It’s your big day, after all. So why shouldn’t you have full input? And if you are short of ideas, let your celebrant offer suggestions. Your celebrant may well not be ordained, but he/she will still be able to include religious elements. These might be readings, music or ceremonial items. The most beautiful thing is that both partners’ religions can be honoured in this way. Perhaps you know a mixed-faith couple who are planning their wedding, but are not happy about the options open to them. If so, please send them my way, and I’ll be delighted to have a non-obligation chat with them. That way, they may still end up with the ceremony of their dreams!